Join the premier network for Guitarists! 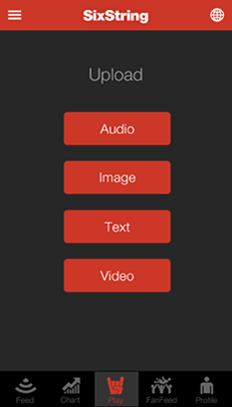 Share your licks, riffs and event audio, photos, videos and links. 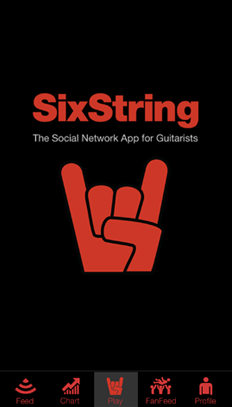 SixString is the Premier Social Network Guitar Players. Packed with cool features including video and audio recording, this innovative app was built with guitarists in mind. 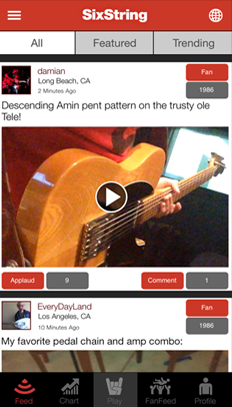 Quickly record licks & riffs, take pictures and videos of your guitars and gear, text updates about gigs or guitar news, and then instantly share them with the community for comments and applause. Build out your network of fans and follow your favorite guitarists. The SixString app is an exciting, simple and fun way to share your events, audio and news with a Guitar-centric community. "SixString, the premier social network app dedicated to guitar players, is the featured Social Network app in the Apple iTunes Store." 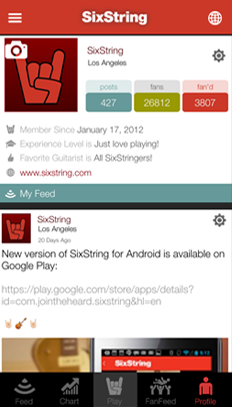 "SixString can even be a great way to discover other guitarists that are interested in similar music as you. Who knows, you could even make a connection that joins you on stage with other SixString members!"